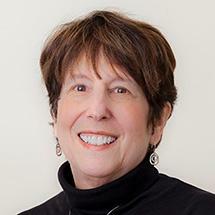 Ora Schwartzberg has been practicing law since 1985 and has also been a mediation practitioner for over fifteen years. She is a graduate of Vermont Law School. Prior to that, she received a Master's Degree in counseling from SUNY, Plattsburgh (New York), and an undergraduate degree in education from Temple University in Philadelphia. She has had careers as an inner-city high school teacher (English) and as a counselor prior to attending law school. Attorney Schwartzberg practiced law in Saranac Lake and Lake Placid, New York, until 2001 when she passed the New Hampshire Bar and relocated to New Hampshire. Although a large part of her practice involves divorce mediation, Attorney Schwartzberg also mediates cases involving small business, real estate, and family issues unrelated to divorce. She is an active member of the New Hampshire Bar Association, serving as the President of the Grafton County Bar Association for two years, Chair of Alternative Dispute Resolution Section of the New Hampshire Bar Association, and a member of the New Hampshire Bar Legislative Committee. She is also a member of the American Bar Association.